Awesome is still my favorite positive exclamation, hands down. 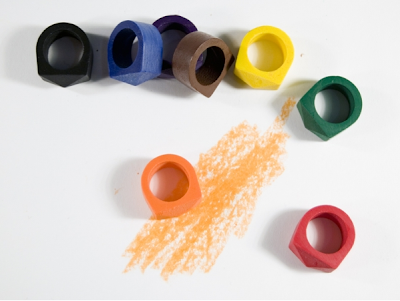 I think it's awesome that you used it to describe those coloring rings - because that's what they are! um, yeah, these are awesome. and if awesome is uncool, what are we supposed to say? sigh. having trouble losing the "awesome" myself. And not everyone understands that *rad* is intended to be tongue-in-cheek. I use that word way to much. I can't help it...however I have never been cool. Those crayons are...neat. Does that work?